When we think navigation app, we typically think Google Maps. It’s the one most people recommend. It also happens to get frequent updates. Google has been really on top of navigation especially over the last couple of years. However, there are plenty of different options if you aren’t clicking with Google Maps. 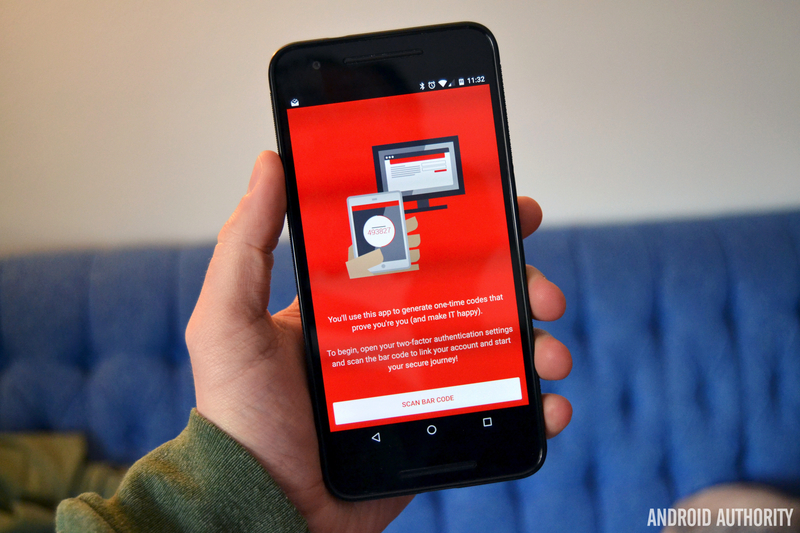 In this list, we’ll check out the best GPS apps and navigation apps options for Android! Here are some more travel and utility related apps to check out! BackCountry Navigator is an excellent navigation app for hikers. It’s pretty expensive but what you get is a number of offline topographical maps. It’s perfect for those places where data services don’t exist. There are a few fun features as well. You can add favorite spots and markers on the map, view different types of trails, and more. It also has a few map choices. Buying the app gets you a selection of maps. You can also get Accuterra maps for $19.99 per month. It’s powerful, but be sure to try it before you buy it. It is fairly expensive. HERE WeGo is one of only a few serious competitors to Google Maps in the navigation app space. It features a simple, elegant interface with mapping options all over the world. You can download maps for offline use in your region. That should help in areas with spotty data connections. HERE also shows you traffic information (where available), public transit maps, and you can customize by saving places for quick directions later. It’s all free to use. There is also a map creator app that can let you alter maps as well. MapFactor is one of the low key popular navigation app options. It includes the basic navigation and GPS features. It uses OpenStreetMap. That means you can get free offline maps that are updated monthly if you want. There are additional map options as well, but they may cost money. 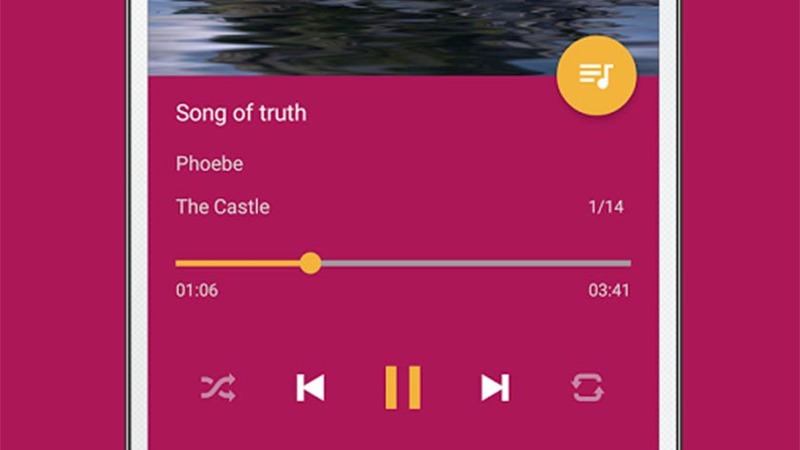 Some of the other features includes voice directions, cross-border routing, 2D and 3D modes, day and night themes, and more. This GPS app also has support for dozens of countries around the world. It’s not half bad for what you get. MapQuest has undergone many redesigns over the years. However, it’s the same sturdy service we’ve known about since the good old days. It employs the standard turn-by-turn directions. There are also other features such as live traffic updates (where available), re-routing directions based on traffic, and a service to find cheaper gas. You can even use it to call a tow truck if you break down. It’s not as good as Google Maps or as effect at finding cheap gas as GasBuddy. However, it’s a great way to kill two birds with one stone. Google Maps and Waze are both excellent GPS apps. They are also both by Google. Google Maps is kind of the measuring stick for navigation apps. It has tons of locations, reviews, directions, and street-level photography of most locations. Additionally, it has accessibility features and you can download maps for offline use. Waze is a little more simple. It’s great for directions, especially on road trips or daily commutes. It uses user data to show things like traffic jams, police locations, and other useful info. Plus, Waze has a lot of fun voices for navigation. You can’t go wrong either way. They are both quite good, even if they serve different types of people. You’re halfway there! Check out some awesome music apps for your drive! Maps.me is another free navigation app and GPS app. It features offline maps, turn by turn directions, and updated maps via OpenStreetMap. There is also bookmarking locations, offline searching, traffic data (where available), and worldwide support. It’s about as close to a Google Maps competitor as it gets. It should work for most people most of the time. Some have reported some issues here and there, but nothing overly worrisome. The app is completely free with no in-app purchases. There are some ads, but they aren’t a big deal. OsmAnd is a different type of navigation app. It caters directly to people who want offline maps. You can download a bunch of them and most of them are pretty good. The free version of the app has a download limit. You can purchase additional downloads through in-app purchases. Some other features include turn-by-turn navigation, an offline search, maps for things other than driving, and more. 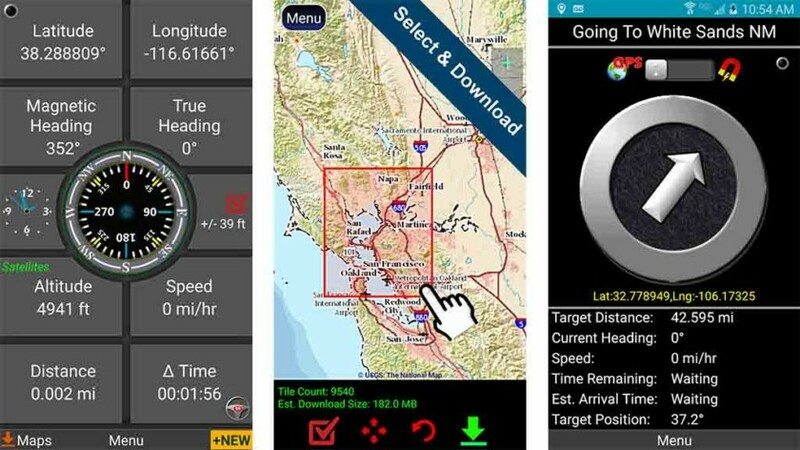 It’s probably not as good as something like HERE or Google Maps for online use, but it’s among the best offline GPS apps available right now. Polaris Navigation tries to be the all-in-one navigation app and in most cases it succeeds. Its biggest feature is that it has access to Google Maps, OpenStreetMap, MapQuest maps, and Cycle Route Maps. So whatever source you want is the one you get. It also features multiple coordinate formats, trail recording, a unique waypoint management system, and your standard stuff like turn-by-turn directions. There are also a handful of features for activities like hiking, camping, fishing, hunting, and other outdoor activities. It looks old, but it works well. Sygic is a monumentally popular navigation app that boasts over 50 million downloads to date. Like others on this list, it provides downloaded maps for offline use except this one uses TomTom maps. It has the usual features like turn-by-turn, voice guided directions (which include voice-spoken street names so you can concentrate on driving), alternate routes, and even a speed limit display. You can unlock additional features by purchasing one of the three premium versions. The $13.99 option gives you basic features, the $17.99 option adds real time traffic updates, and the $24.99 version gives you everything. It’s expensive, but at least it’s not a subscription. Scout GPS is actually an older GPS app with a fresh coat of paint. It used to be called TeleNav and it’s changed it’s name, icon, and appearance to give it a fresh look. It’s still a reliable and stable navigation app with all of the basic features, including turn-by-turn navigation. However, Scout GPS focuses more on people rather than navigation which gives it a unique flavor. 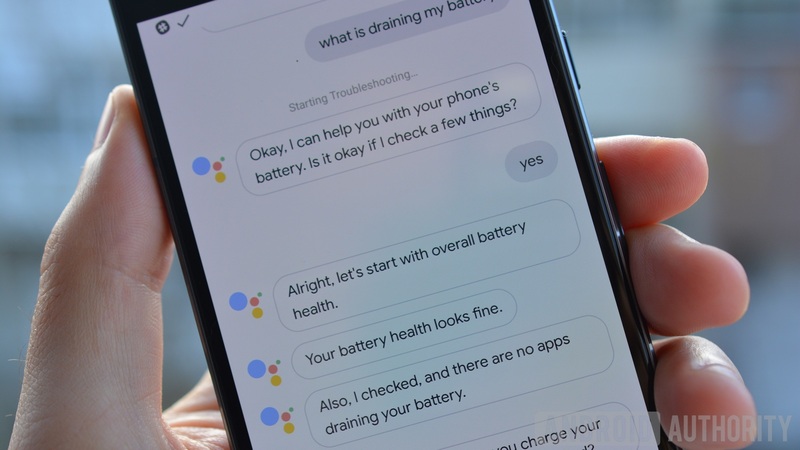 It can do things like text people automatically with your ETA and alert you when other people need you. The location-based, social media element helps separate it from the pack. The full version costs $24.99 per year. This is also the system some car manufactures use. It’s not really important, but we like little fun facts like that. Thank you for reading! 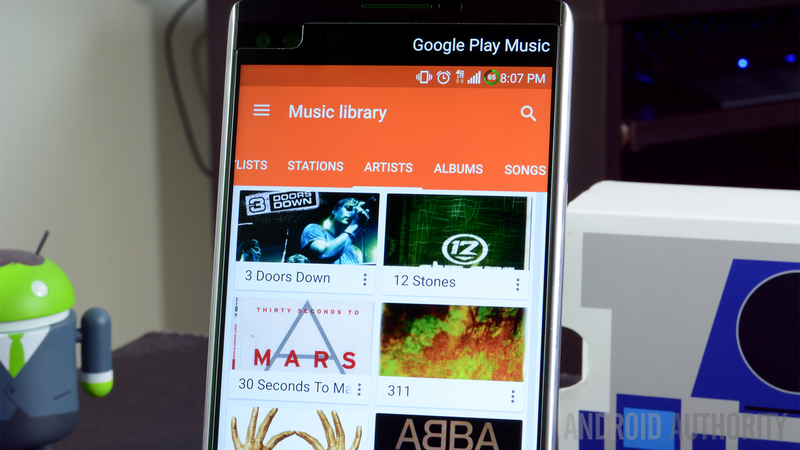 Here are some more Android apps that might be useful on your drive! If we missed any of the best GPS apps or navigation apps for Android, tell us about them in the comments!